VLT offers Three versions of the most advanced range of Headlight Beam Testers. Our Development Department was inspired years back by the non-availability of a product which could meet our high quality standard! Resulting in development of our own VLT Headlight Beam Testers The market showed big interest in our own developed VLT Headlight Beam Testers. Please note the Three different types of our Headlight Beam Testers. VLT 0936/MK2 Test Lane Version. 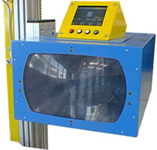 Fully digital computerized controlled CCD Head-light Beam Tester, with fully automated vertical and horizontal movements, with automated searching of the hot spot of the beam. This robot type Headlight Beam Tester is connected to the Vehicle Test Lane Computer system and displays instructions and results to one of the large overhead TFT/LCD monitors of the Test Lane. VLT 0938/MK2 Test Lane Version. Unique new revolution of Headlight Beam Testing with our VLT patent pending vehicle position scanner system. This model has a fully digital computerized controlled CCD camera, has the same fully automated vertical and horizontal movements including automated searching of the hot spot of the beam as our VLT 0936/MK2, but scans the vehicle and measures the centre line of the testing vehicle and makes adjustment of the measuring device if the angle is not the same. 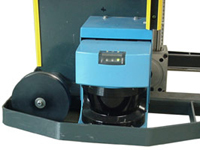 This all at a speed of at least 5 times faster than manually operated testing systems. Manual Headlight Beam Tester with Same measuring Techniques as our Fully Automated models. This stand-alone model has its own small Printer, including rechargeable battery pack and charge. VLT 0939TL01 Manual Model for Integrated use in VLT Test Lanes. Manual Headlight Beam Tester with Same measuring Techniques as our Fully Automated models. This Manual operated model for use in VLT Test Lanes, with cable boom connection to the Test lane Computer. Including rechargeable battery pack and charge. VLT 0939TL02RF Advanced Manual Model for Integrated use in VLT Test Lanes. 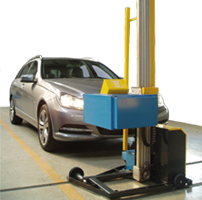 Manual Headlight Beam Tester with Same measuring Techniques as our Fully Automated models. This Manual operated model for use in VLT Test Lanes. This model comes with RF (Radio Frequency) communication with the Test Lane Computer. Including extend Battery pack and battery charger (charging over night) .